Doug & I purchased this condo in May, 2018 after coming to the area last Fall. We looked at quite a few complexes but we knew this was the one we wanted as soon as we saw it. We try to come down from the Chicago area whenever we can and we make some great changes in each trip. 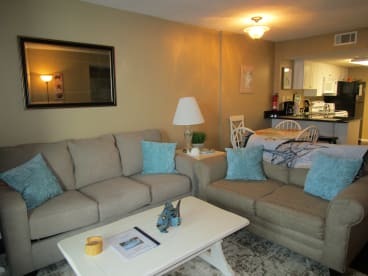 We are happy to offer this condo to you for your vacation and hope that you enjoy it as much as we do.